Get ready for a five-star pampering island spa experience with fabulous food and an eco-twist. This environmentally friendly property helps the local community and promotes sustainable tourism on the whole island, hiking trips included! Amorgos is wild, beautiful and relatively untouched by mass tourism. It largest hotel, the landmark Aegialis Hotel & Spa, has become a beacon of sustainability, thanks to the efforts of Greek-American owner Irini Giannakopoulou and her very dedicated team. The spa, comfortable rooms with spacious balconies and stunning views of the Aegean Sea dotted by different islands adds to this dreamy experience. To begin with, the hotel offers a superbly generous breakfast buffet full of local and homemade goodies that will keep you energized all day long: fresh fruit, Greek yogurt, wholesome breads, a plethora of cereals, home-baked cakes, sweet surprises, fine village cheeses, freshly squeezed orange juice and herbal mountain tea from Amorgos to name just a few. 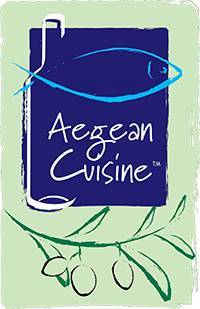 You’re also going to love dining at the Ambrosia Gallery, with its certified ‘Aegean Cuisine’ designation, featuring both vegetarian and meaty traditional dishes such as Favokeftedes (yellow split bean patties) and Patatato (free-range goat meat in red wine). Lots of greens, local herbs, and a touch of spice go into Amorgian cuisine, which the Aegialis interprets with gourmet-like sophistication. First of all, guests can enjoy free use of many spa facilities such as hammam, sauna, indoor pool with massaging waterfalls, fitness hall and Jacuzzi. There is of course an outdoor pool for those pleasant days, and there are many of these all year round on Amorgos. Beyond this you can book a variety of treatments such as reflexology, Thai massage, craniosacral therapy, and Chi Nei Chan (abdominal massage) among others. The Aegialis is also a yoga retreat for groups, thanks to its spacious dedicated studio. There is a concerted effort by the management to save on energy costs through initiatives such as adopting LED technology lighting, recycling waste, reusing grey water for watering plants, and relying on solar panels to heat water. Beyond the confines of the property the Aegialis promotes sustainable tourism by employing local staff and vigorously promoting the island through its yearly Yperia film festival, as well as offering ecotourism activities such as hiking and herb gathering. Initiatives have also included clearing hiking paths, promoting the archeological heritage of the island, and using local ingredients in the cuisine and spa treatments. It is proudly a member of the Green Hotels & Responsible Tourism Initiative, and is currently working on obtaining more green credentials. In this sense the Aegialis is a pioneer on the island and highly recommended.